Designing a kid’s bedroom means you are tapping your inner childhood to create a magical (yet practical) environment. We really love shaking things up a tad and exploring fun alternatives to the classic bedroom look. You’ve probably noticed that with all our themed beds and beds with slides or tents. Now let’s tackle kid’s nightstands and dressers (because we can’t leave them out, can we?). We gave them a little color makeover and created something – dare we say – amazing. It’s pretty common now in design to vary wood tones, especially with dining tables or desks with chairs. 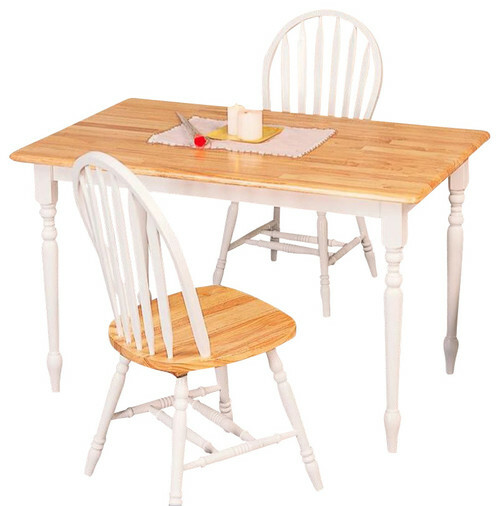 Take for instance this classic dining set with white and oak blends. Be indulgent and pick a couple of these pieces to go with your kid’s Maxtrix bed, or just add a single interesting piece of flair! Shop all of our two-tone furniture and explore your options.